T-shirts are a fashion statement. They are a key part in helping people to express themselves and show devotion to an idea, team, or organization. People will buy t-shirts to remember trips or events that they have been to. Custom t-shirts first appeared when the Navy issued them during the Spanish-American War. They continued to gain popularity due to the inexpensive, lightweight material they were made with. Iconic figures made t-shirts more popular as the years went on, and in the 1960’s and 70’s the hippie movement made t-shirts as much of a political statement as a fashion one. That era solidified the t-shirt as a staple of fashion. Today it’s one of the most popular forms of casual attire available, both in the United States and throughout the world. The t-shirt’s design makes it highly functional for athletic activities. Sports teams often times practice in them because t-shirts are conducive to movement and training exercises. Everything from the material the shirt is made from down to its color plays a part in the design of the shirt. 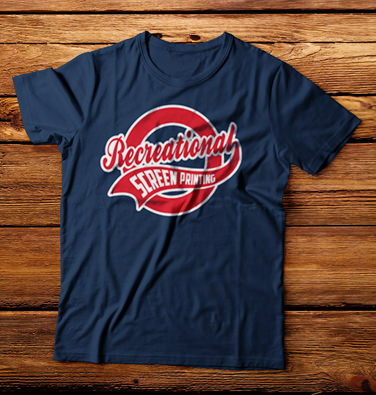 The logo is one of the most important parts of a t-shirt, especially a custom t-shirt that is designed to promote a group or event. It’s the job of the t-shirt designer to draw the attention of those who see the t-shirt to the logo or team name. That makes the t-shirt efficient at what it is meant to accomplish, which is to promote something. Beginning with the U.S. Navy, the t-shirt’s goal has long been the promotion of a certain team or group. Most of what goes into making a t-shirt has something to do with how it will impact the promotion of that organization. Whether it’s the team someone is playing for, or the business that it’s representing, having a t-shirt designed is one of the best ways to go about promoting something. Epic Promos is the premiere screen printing group in Boca Raton. They are devoted to their customers and specialize in Custom t-shirts, team jerseys, and even business card designs. Those in Boca Raton or the surrounding areas can count on Epic Promos to take care of all their screen printing needs. Get in touch today at 561-757-5479!